Certainly, I enjoy looking at the maps which I have but not until I collected a few had I really considered them as an art form. In fact they are a very specific art form which has both beauty and use. As I stated in the last chapter I recently purchased an atlas. 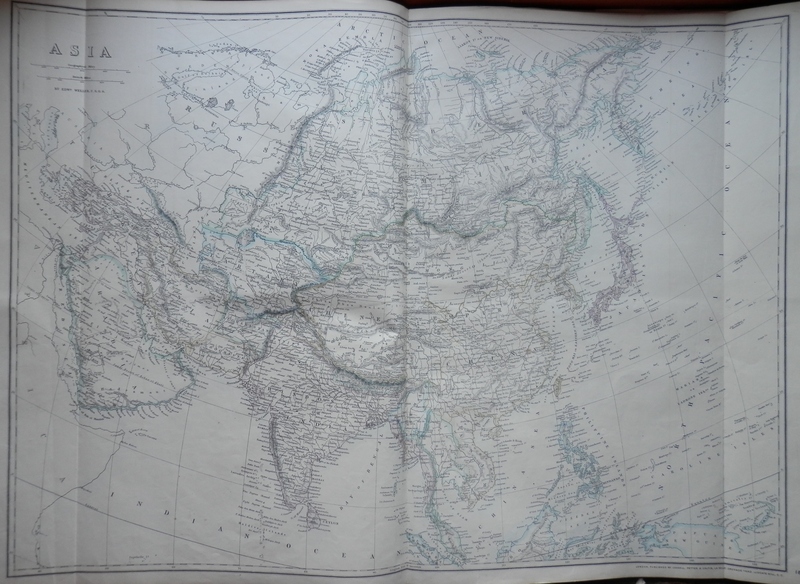 An atlas produced by Cassell around 1860. Sad to say it is not complete but has an interesting twist to it. 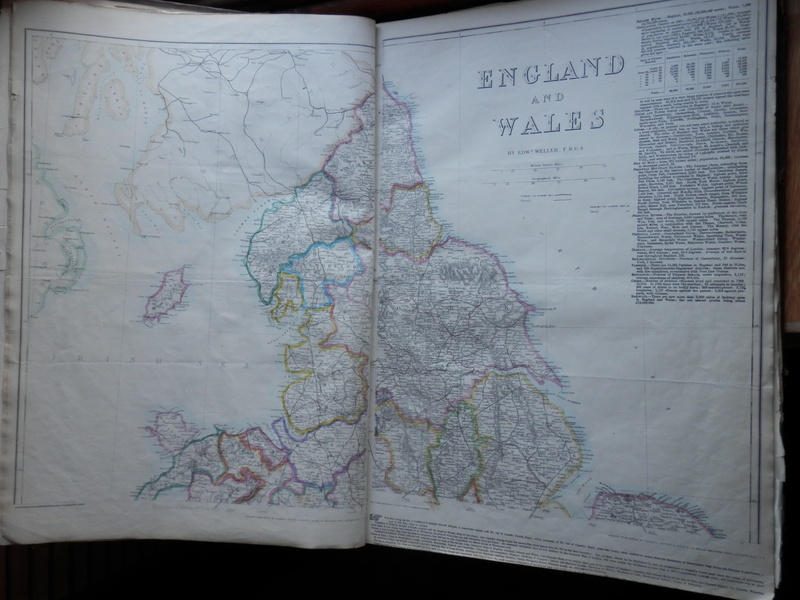 Although the atlas hard cover reads Cassell’s General Atlas the title page reads Cassell’s British Atlas. It contains a good number of the maps of the counties but, alas, not all. The maps are drawn by #EdwardWeller, #JohnDower, B R Davies, and #JWLowry. 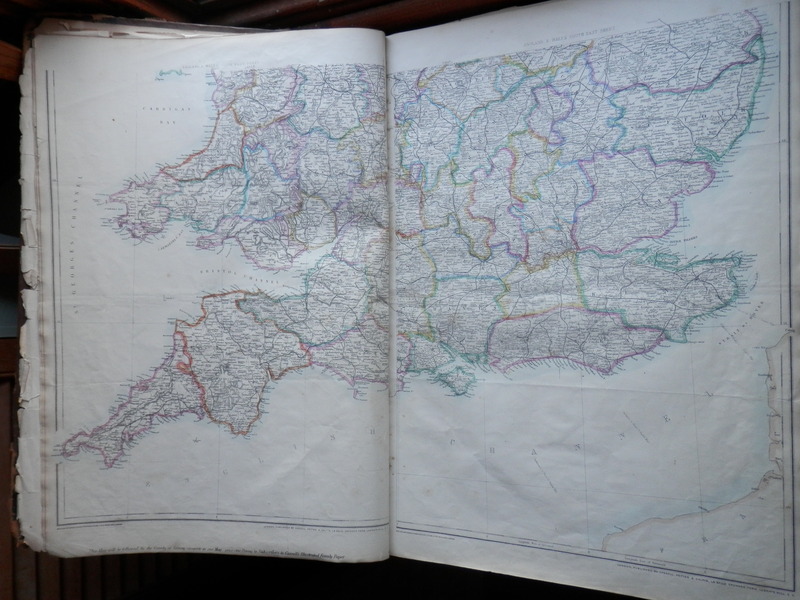 The complete #Cassell’sBritishAtlas consists of 122 maps consisting of the counties of England and Wales, divisional maps of Scotland and Ireland, separate maps of cities and towns, and others. Cassell’s sold their atlas as separate pages available to those who bought their ‘Weekly Dispatch’ paper. One page a month. This collection of maps eventually grew to include much of the known world. And this is where my atlas diverts back to what the cover title states for the last third of my atlas is made up of maps of countries. 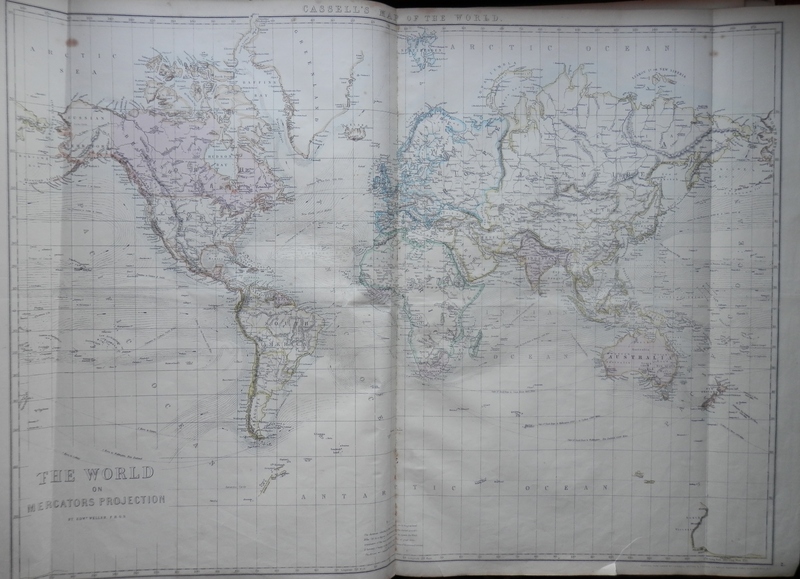 #Cassell’sGeneralFolioAtlas was made up of 60 maps of the countries of the world. Once again not a complete set but a set of maps from a time gone. Beautiful artworks created by superb technicians/craftsmen. Made to be gazed upon as beauty and source of information. Used by explores, traders, and common folk. Now appreciated by others in a different time. This entry was posted in Modern prints and tagged Asia, borders, countries, county, England, map, oceans, seas, Wales, world. Bookmark the permalink.